BOB GARFIELD: 60 Minutes’ October Benghazi story is the Media Error of the Year, but it wasn't the end of 2013's reporting on Benghazi. In more a more than 7,000-word piece last week, New York Times reporter David Kirkpatrick reviewed the 2012 incident to determine whether it was a local affair triggered by an anti-Muslim YouTube video, as the Obama administration first asserted or, as House Republicans contend, al Qaeda elements participating in a planned assault on the US compound there on the anniversary of 9/11. In that narrative, the White House covered up the al Qaeda connection with an eye to the presidential election weeks later. Kirkpatrick spent months with American and Libyan officials, eyewitnesses and leaders of various Islamic militias. What he found, unsurprisingly, was murk, security and intelligence failures in Libya, radical anti-Americanism, strange and violent bedfellows, but no evidence of an al Qaeda role and, therefore, no administration cover-up. Indeed, Kirkpatrick reported, the violence was fueled, in part, by a video made by a sketchy Californian Coptic Christian denigrating Islam. But, according to Politico's Blake Hounshell, the Times story did nothing to quell the debate. On the contrary, in a partisan environment wherein dogma trumps fact finding, the Times story was just a bellows for an eternal flame. BLAKE HOUNSHELL: The liberal media breathed a sigh of relief and said, you know, thank goodness, this is finally over. And the conservative media cried foul and said, this is the liberal media making its case for Hillary Clinton in 2016 and whitewashing what happened in Benghazi. And that was mirrored in, in the reaction on Capitol Hill, as well. The conservative House members just flatly disputed the New York Times account and said it was wrong. BOB GARFIELD: That would include Congressman Darrell Issa, who heads the House Oversight Committee which has spent the last 14 months looking into Benghazi to prove their contention of an administration cover-up which, by the way, I think they believed first was to protect President Obama in his reelection campaign. But, in any case, he goes on Meet the Press and, and what does he have to say? REPRESENTATIVE DARRELL ISSA: But we have seen no evidence that the video was widely seen in Benghazi, a very isolated area, or that it was a leading cause. BLAKE HOUNSHELL: And he said that al Qaeda really was behind the attack, and he has, according to him, the evidence to prove it. So he’s not giving up, and he can dribble tidbits of information, leak selectively to media outlets that are receptive and keep this thing alive well into next year. BOB GARFIELD: You have a whole list of reasons that this debate will go on and on. What else is keeping us from clarity on this matter? BLAKE HOUNSHELL: The really key thing is this point about what al Qaeda is. Is al Qaeda a highly centralized top-down organization that given orders carried out all over the world? Is it more of a decentralized network of regional groups that have their own local grievances and have different kinds of relationships with the core al Qaeda leadership based somewhere in Pakistan? Or is al Qaeda really just a brand, a movement that’s better described as Sunni Jihadism, and these local groups that have grievances, they don't need to take orders from a central organization because they’re all marching in the same direction? How you answer that question really informs your definition of this attack in Benghazi. BOB GARFIELD: Blake, as I read the Kirkpatrick piece. I came away with the conclusion that what's the difference [LAUGHS] whether al Qaeda was involved? 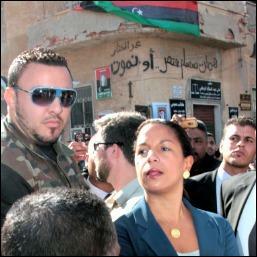 Militant Islamic jihadist organizations were, and are, on the ground in Libya. He spoke to many of their leaders and, and foot soldiers. It's a mess, and whether one of them was more or less al Qaeda-affiliated sort of seems besides the point. And yet, this whole debate centers on an al Qaeda connection, and the whole al Qaeda connection seems to hinge on a single phone call made by one of the participants in the Benghazi violence to a friend, with supposed to al Qaeda affiliations. Tell me about that phone call. BLAKE HOUNSHELL: That phone call is first reported by Eli Lake at The Daily Beast, within days of the attack. And the way Eli Lake characterized it was that this was really definitive proof that this was al Qaeda because here you had to participate in the attack, phoning someone who he said was in the North African affiliate of al Qaeda, bragging about the success. And the takeaway from that piece was this was a planned terrorist attack, and it was al Qaeda. And that was contradicting the Obama administration's line at the time. So it had a lot of political resonance. Now, the New York Times interpretation of the phone call was that the person on the other line, this guy sounded surprised in the interpretation of the Times sources. So that’s just a matter of how do you hear this phone call, how do you translate the Arabic? And the others, who have responded and entirely dismissed his reporting, seem to have nothing but faith in their view of things. Have we gone down some rabbit hole into a post-fact universe? BLAKE HOUNSHELL: [LAUGHS] I hope not because as a journalist, then that means my line of work is something more like interpretive dance. 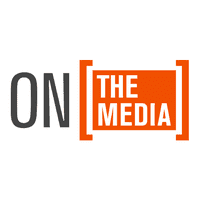 What's happening is you have news outlets like Fox News that have close relationships with the Republican side of things, you have news outlets like MSNBC that have close relationship with the Democratic Party and the liberal side of things. And their job is not necessarily just to simply report out the facts. Their job is to cheer for their team and to pull out facts that support their team’s side of the argument. The Times’ intention in this case was clearly to try to settle the argument in a neutral way. I've met David Kirkpatrick. He’s [LAUGHS] not a partisan gunslinger, by any stretch of the imagination. The idea that he's colluding with the Hillary campaign to make this story go away is, is silly. He's the Middle East Bureau Chief. He cares about what's happening on the ground. But the loudest voices, the ones on the left and the right are the ones who are going to interpret things in ways that cheer or detract from their side. We can't let those people have a veto over all solid nonpartisan, straight-down-the-middle reporting. BOB GARFIELD: One of the other items on your list of why this will never go away is the problem of proving a negative. BLAKE HOUNSHELL: Yeah, that’s exactly right. There’s this famous Carl Sagan quote, “Absence of evidence is not evidence of absence.” That was a line used by [LAUGHS] Donald Rumsfeld, of all people, to make the case that there still might be WMDs in Iraq. But the point is they weren’t able to find any evidence of al Qaeda involvement. Does that mean that there was no al Qaeda involvement? How do you prove something didn't happen? You could take this too far and say, you know, what if space aliens did Benghazi? Well, you can’t, you can’t prove that they didn't. That's exactly why we’re still having this debate, and I think we’re still gonna be having this debate well into 2016, whether we like it or not. BOB GARFIELD: I think Issa’s committee has subpoenaed ET, but he's fighting the subpoena based on alien – privilege. BOB GARFIELD: Blake, Happy New Year, thanks very much. BOB GARFIELD: Blake Hounshell is deputy editor of Politico.